Alright, folks, welcome back to the Throne of Glass reread extravaganza. Sorry this post has taken a while; uni has been very intense lately, but now it’s spring break so the reread is back in full swing! If you’re new here, welcome! My name is Molly, I love Throne of Glass, and, because I am not emotionally ready to move on after Kingdom of Ash, I have decided to use my minimal free time to reread the series and have realized that there are so many details that become important later in the series, so I decided to document my findings here. All the previous posts can be found at the link above. 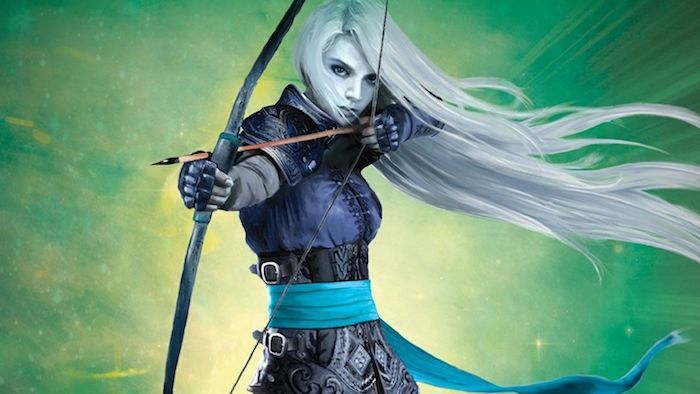 Today we’re talking about the third book in Sarah J. Maas‘ series, Heir of Fire. In my memory, Heir of Fire was a hard book to read. Celaena was in such a bad place, and Chaol and Dorian weren’t talking and this hot Fae warrior guy was introduced who crushed all my hopes of a chaolaena reunion. Rereading it, it’s still difficult to read. Celaena is so empty, and watching her struggle so much, even when I knew all the happiness she will find, is awful. 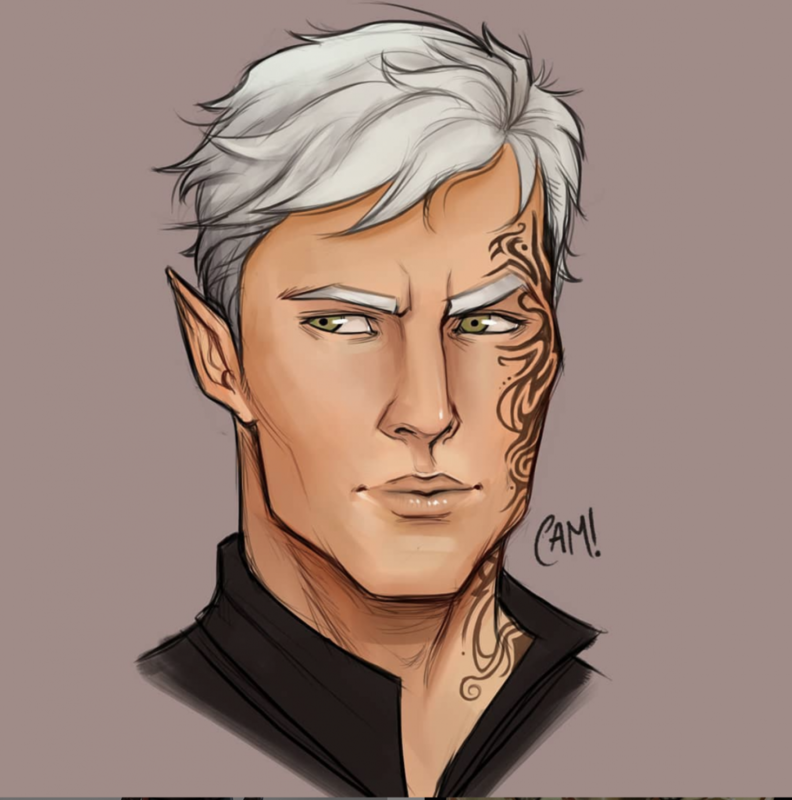 And Chaol, the love of my life, is also not doing too well, so that’s really not ideal. However, this book is epic. Seeing Aelin’s powers is amazing, and this book expands the world of the series, diving deeper into the lore of it, which was fascinating. And there is so much that I forgot or slipped through my notice when I first read it, so let’s get to the discussion! Right at the beginning of the novel, when Celaena first meets Maeve, she makes a remark about Maeve wearing a second skin. Which I originally took to just be like “oh she’s evil and super powerful so could change form I guess,” but now it is so clear that this is a reference to the fact that Maeve is valg. Because she really is wearing a second skin. 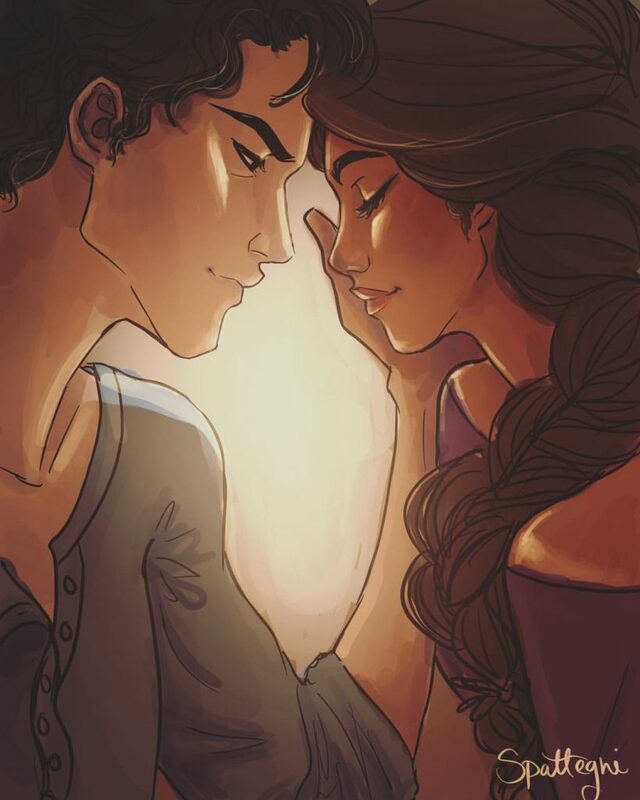 When Aelin and Rowan first meet, Aelin talks about how she can read his eyes. (Page 64; I am a dedicated listicle-writer who takes notes). Right from the beginning they can communicate without words, and we all just took that to be normal? Like it’s not a neon sign exclaiming that there’s some suspiciously mate-like relationship here? Especially when we know that in Sarah’s other series, A Court of Thorns and Roses, mates can talk to each other through the bond. This continues to happen throughout the book (and Queen of Shadows and Empire of Storms) I’ve noticed: there are references to them speaking through looks or remarks on how deep their relationship is, and in hindsight it is just SO CLEAR that they are mates. I really don’t know how I missed it, but I know I did because I remember being so shocked when I first read that reveal in EOS. Celaena is so, so broken. It’s utterly devastating. Reading about her just giving up on life, not caring what happens to her, blaming herself for everything was so difficult. For some reason, this part of HOF escaped my memory; I remembered Sorscha and Rowan and the ending, but I didn’t remember the intensity of the emotional journey Celaena goes on. Because, really, Celaena does not survive this. She does not survive the devastation and heartbreak and pain. 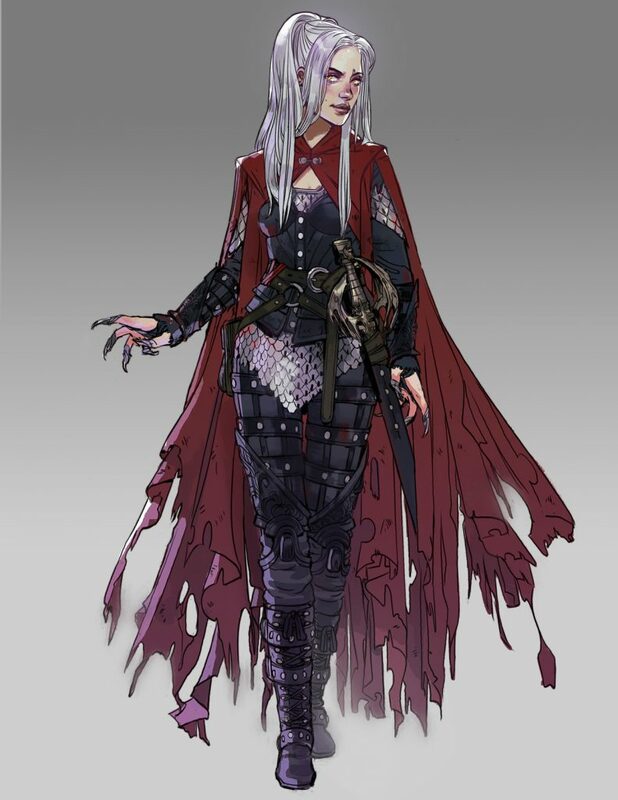 But Aelin does. And that is so important for the series going forward. Aelin beat the pain, came through the darkness. But there was darkness. And it did have casualties. So many new characters in this book! Aedion, Rowan, Manon. It is a bit weird that they aren’t introduced until now. Especially Rowan. SJM really likes to lead us along with the romantic couples, doesn’t she? Now, I must admit that I was never Rowan’s biggest fan when I first read this book, because, well, Chaol, and he was very grumpy and rude at times. But now I, obviously, love him, and can see how much he was hurting at the beginning of this book, just like Celaena was. They really do bring each other back to the light. There’s a line when Aedion and Chaol are talking when Aedion says he’d rather have “no father than your father,” which immediately made me cry because a) wow Chaol I’m so sorry for you and b) there’s a line in Kingdom of Ash when Chaol tells Gavriel that he knows Aedion will accept him as his father because Chaol would love to have Gavriel as his father. Another full circle moment. Ignore my sobbing. Emrys (who I totally forgot existed, so for anyone wondering, he is the demi-fae chef at Mistward who knew Aelin’s mother and helps her (or tries to) when she works in the kitchens) is the first person to mention the concept of working towards “a better world.” This is Aelin’s, and the entire court of Terrasen’s, mantra throughout the war. They are working to forge a better world. This line will fuel our heroes, putting home into their hearts and courage into their bones. And the fact that Emrys says this (he says it to Rowan about Aelin and what she could offer, I believe) first, Emrys who just wanted to help Aelin find herself and heal, help her see that a better world was even possible, is so perfect. As I’m sure you’re all aware by now, Chaol is one of my favourite TOG characters, and I will defend him until the ends of this earth. So Heir of Fire was difficult, because it is the start of a downward spiral that Chaol will continue on until Tower of Dawn. And, I would like to point out, no one is helping him with his struggles! He is so lost within himself and his values and beliefs and loyalties are changing so quickly. He was not prepared for all that was to come with Dorian’s powers and Aelin and so many people just blame him for all this! I take notes while reading and my notes for this are just one exceptionally long, incoherent sentence because I was so frustrated. 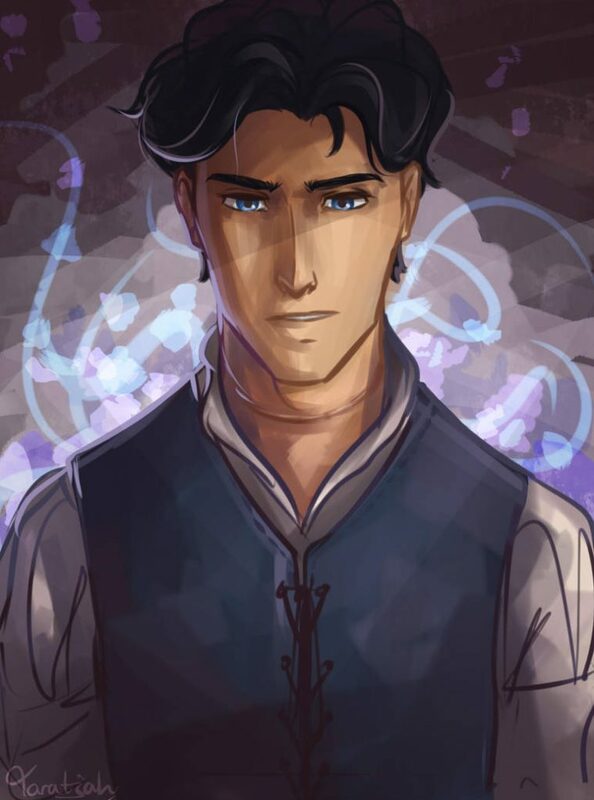 Dorian says that Chaol is afraid of change, and he is, but it’s because so much is changing at once. He doesn’t know who to believe or trust, because he loved Celaena with everything he had, and thought he knew and loved all of her, and it’s hard to accept that he didn’t and hard not to be somewhat angry at her for lying. And Chaol hates himself for all this, for all he’s done and the traitor he becomes to his kingdom even though it is the right thing to do. Yes, he doesn’t take a clear stance at the start of HOF, but he’s just so lost and broken and no one is helping him. He’s trying his best. Thank you for coming to my TED Talk. Manon! She is so, so evil in this book, but it’s still nice to see the entrance of my favourite witch, and to really see the story expanding. 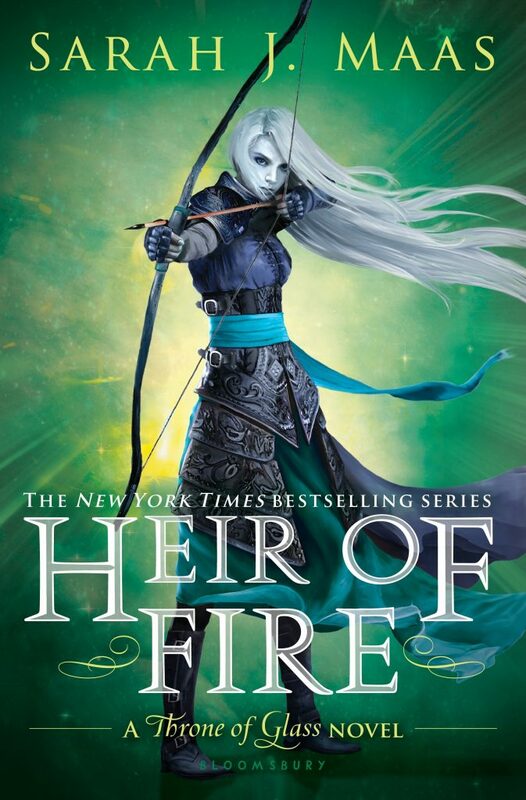 At Sarah’s event in Edinburgh this past fall that I was lucky enough to attend, she talked about how when she first turned in Heir of Fire for edits the editor remarked on how much longer it was than the previous books, because of Manon’s storyline. Sarah fought for it though, knowing that the scene where the Thirteen yield in Kingdom of Ash (I can’t talk about it or I’ll cry) would not have the same emotional impact if they weren’t introduced early. Which is right, because even though they are awful in this book, you do start to care about them. And of course, Abraxos. Who could not love Abraxos? (Sarah also mentioned how the book was allowed to be so long because Crown of Midnight sold well. Don’t pirate books, people). Maeve’s owl, which at first just seemed like a weird pet, is now so sad. It was revealed in TOD that the owl is actually a healer she keeps shackled to her just in case the valg find her. How awful. I really wish we got to free that person at some point. I just want to take a moment to appreciate how much Sarah J. Maas’ writing has improved. She always had clear innate talent, especially in her ability to weave a story together and effectively tell such an epic tale, but her writing has greatly improved. Her metaphors and diction have gotten so much more sophisticated and vivid, crafting this world so exquisitely that I feel like I’ve walked all the streets of Rifthold and wandered the forests of Wendlyn. Reading them all in quick succession like this, her improvement is so clear, and it is such an inspiration to me as a writer. We need to talk about Sorscha. Honestly, I forgot she existed until I read Kingdom of Ash in the Fall and Dorian was still mourning her. So when she appeared in this book, I made sure to pay attention. She’s not on the page very much, and their love story, though crazy cute and sweet, is not that drawn out. But it is what she represents for Dorian that is more important here. She changes him. Makes him hope and believe in a better future and she represents everything good that his father then destroys. He could not protect her, and that haunts him forever. And he is enslaved all through Queen of Shadows, so we don’t really get to see him mourn until Empire of Storms/Kingdom of Ash. But he mourns her for the entirety of those books. He loved her. He loved her so much more than any of us realized, and I think it’s important to note that she was his true love. And, though their scenes are sparse, that is clear in this book. She gets forgotten so often, but she brings out the best in him, makes him dream and really want to live. And seeing that happiness on him, however briefly, is glorious. Plus, she’s badass and kind and just a generally great character. All right, it’s time to talk about that scene. You know what I’m talking about. Arguably one of the best, most heart-wrenching scenes in this entire series. Celaena’s confrontation with the princes. I sobbed the entire way through reading this. Like full on, tears soaking the pages, barely able to see sobbing. Even though I knew exactly what was going to happen, my heart was racing throughout reading this scene. 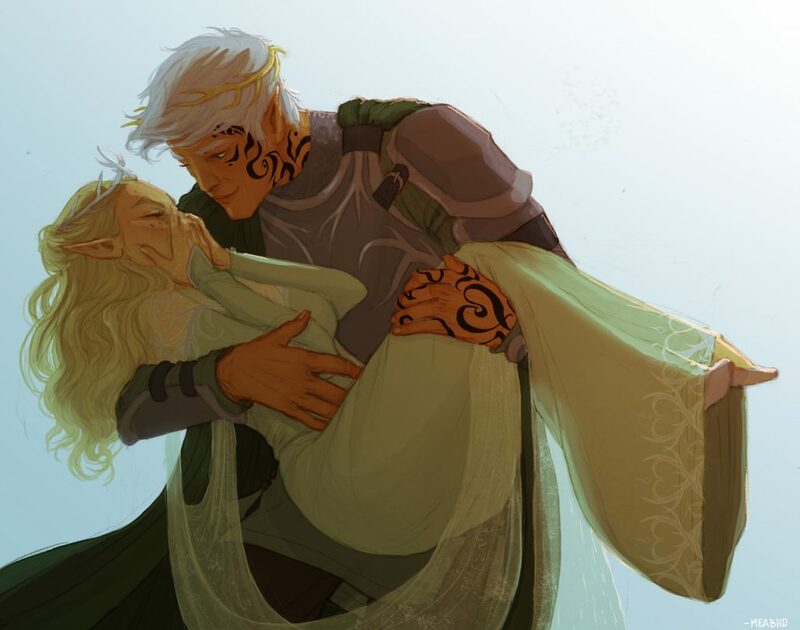 The entire truth of the night of Aelin’s parents’ deaths is horrific and devastating. And this is where we first really meet Aelin. As Celaena has to face everything she’s done, accept all the trials and devastations of her past, Aelin rises. 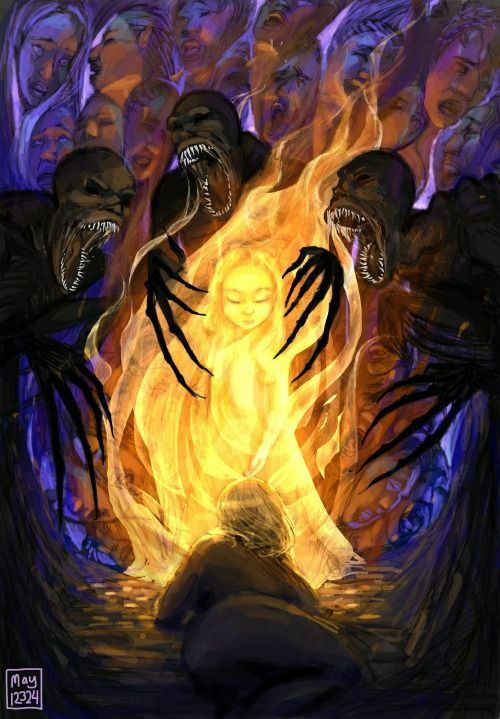 Aelin crawls up from the pain and darkness, helped along by the presence of young Aelin, Nehemia, Sam, Marion, and all her other loved ones that she has lost, all of them forgiving her, supporting her, telling her to “get up” (which is, of course, a callback to the final duel in Throne of Glass when Chaol tells Celaena to get up), though they are talking to Aelin, not Celaena. And she does. Aelin reclaims her identity, she makes peace with her past and resolves to bring light back to Terrasen. To reclaim her crown. She will not hide any longer. 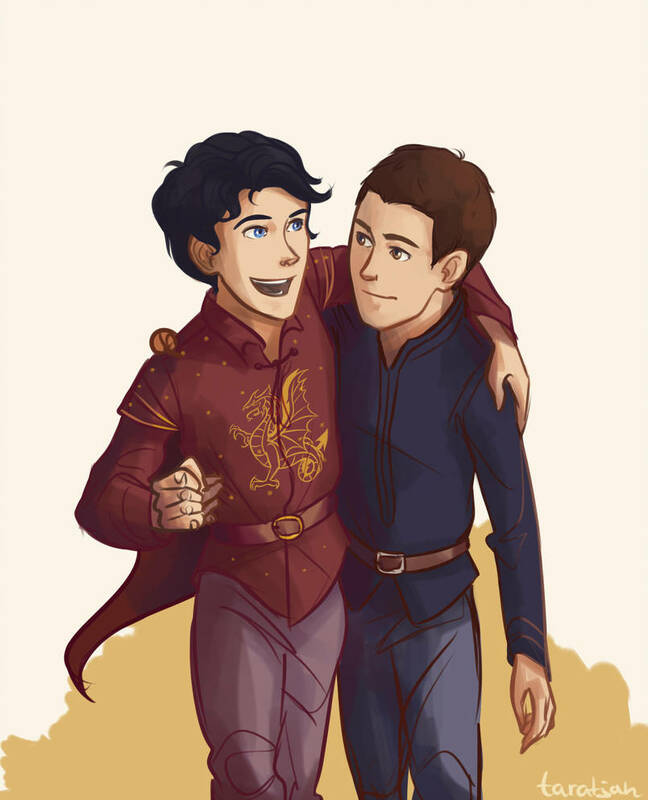 Also, child Dorian is adorable and literally told Aelin that he didn’t need any more friends because he had a best friend named Chaol and I’m not crying you’re crying. Overall, this scene brings the threat of the valg into the light, because we realize just how much pain they can inflict, just how strong they are. The threat is real now, and it drives the series going forward. 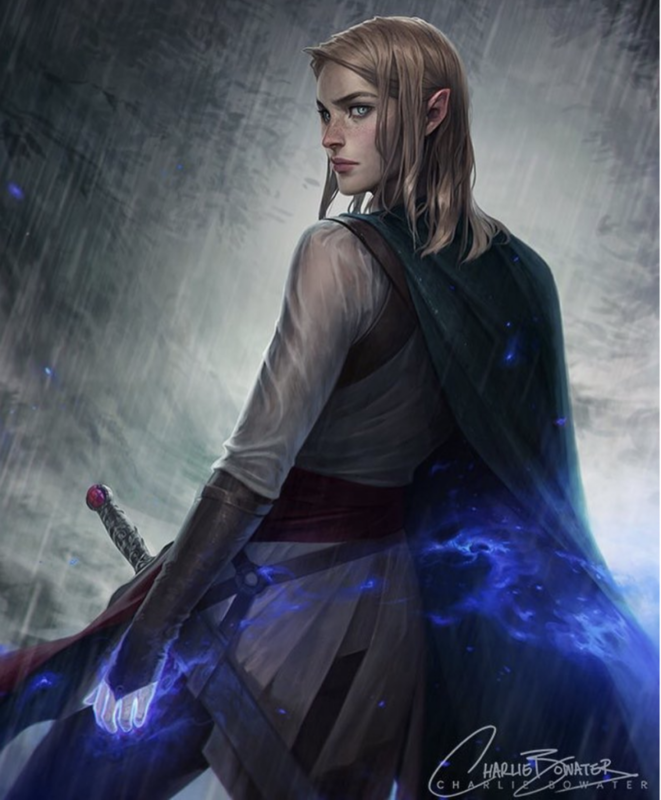 Aelin has come into her own, and now she must fight. Also, this scene is followed directly by the courtroom scene. Talk about a one-two-punch. Okay, so that concludes this discussion! I enjoyed this book a lot more the second time around (though I maintain that it has the worst of the covers, sorry not sorry), and it really is a turning point from the series showing Celaena’s adventure to find herself to the fight for the continent. It’ll definitely turn you into an emotional mess, so if you’re planning on rereading it anytime soon, make sure to have tissues handy.